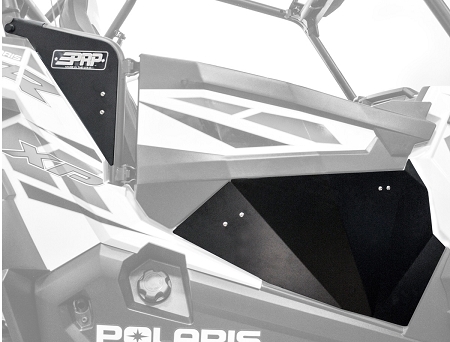 Add more protection and style to your RZR S 900 or XP 1000 with these aluminum Lower Door Extensions. NOTE: Triangular panel does not fit on S 900 models. Add more protection and style to your RZR S 900 or XP 1000 with these aluminum Lower Door Extensions. Just bolt them onto existing holes in the stock RZR door and you've got a complete, closed door for your ride.